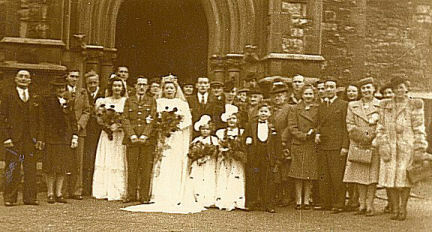 Wedding of Patricia Viola Joyes to Dilwyn J. aka Midge Middleton. (Guess who is the boy in the front in the monkey suit.) Brother, Charles J.M. 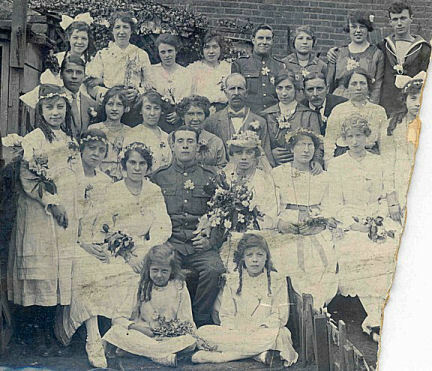 and his wife, Peggy née Birch, stand in the front row 3rd and 4th respectively from the right.